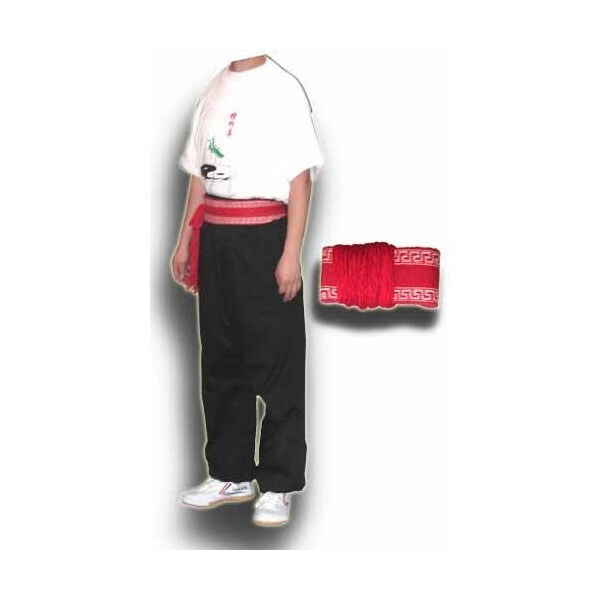 Traditional wushu cord belt red with white decoration - Bok Lei Po Trading Inc. 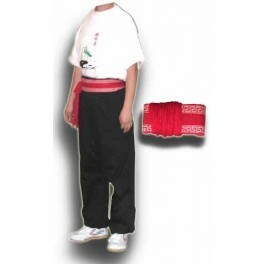 Traditional wushu cord belt-this training belt is made of tough woven cotton fabric. 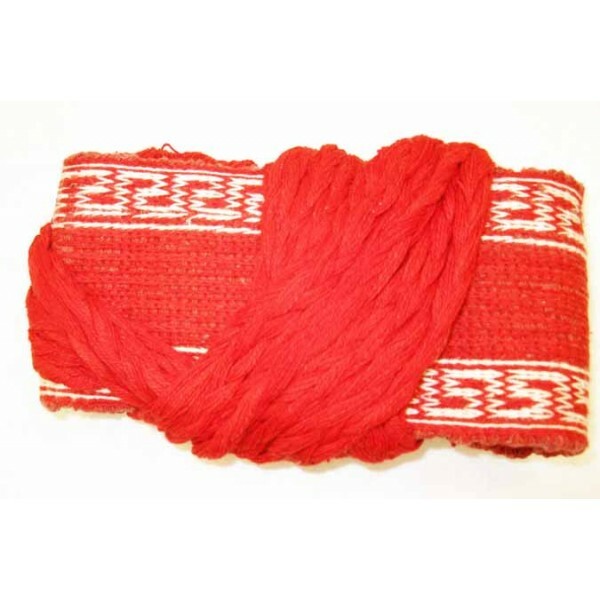 Red with white traditional Chinese decoration. one size fits all. total length 96". 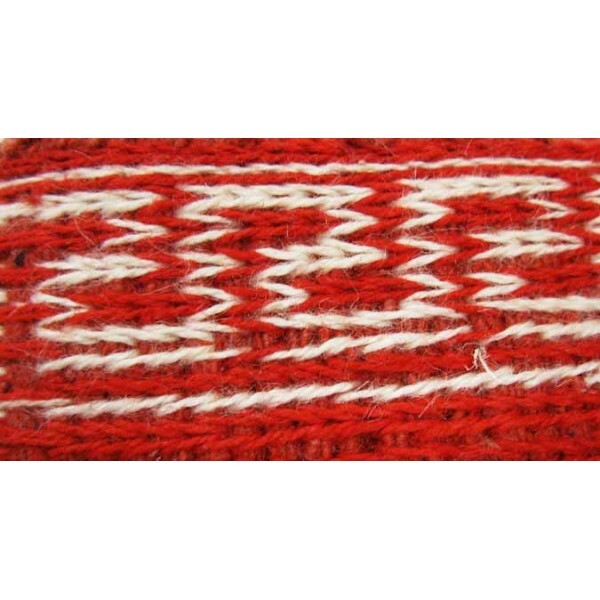 width 3".